Supporting arches AND relieving pressure with soft massaging medical-grade gel, these Silver Steps™ Gel Arch Sleeves can have BIG impact on your comfort. Helping relieve pain from plantar fasciitis, tendonitis and more, their built-in 100% mineral oil gel arch supports stay securely in place, helping absorb pressure and keeping the foot from pronating. 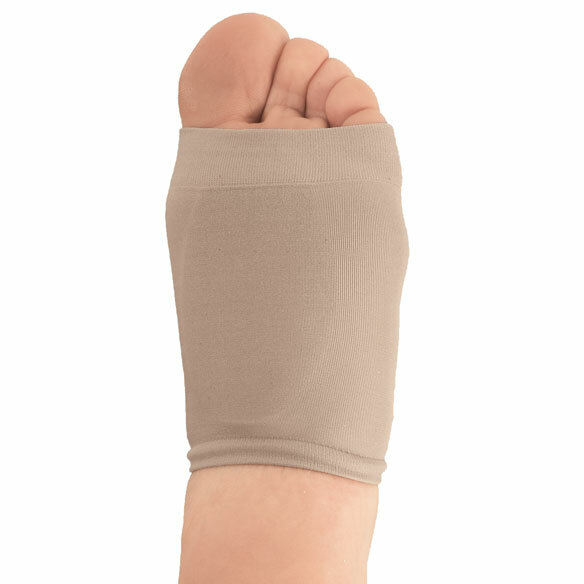 Breathable arch support sleeves slip on easily and comfortably, with or without shoes. Hypoallergenic and latex free; 80% nylon/20% spandex. One size fits most. Includes 1 pair. Hands wash; air dry completely. Sprinkle with talcum powder if gel becomes tacky. Those with diabetes should consult a physician before use.